Four friends, made better friends, through a love of professional wrestling. 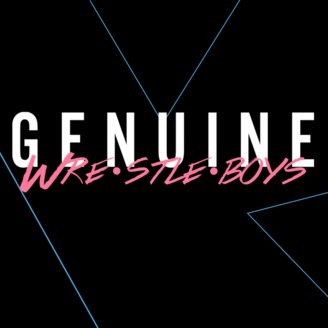 Genuine Wrestleboys is a weekly podcast about professional wrestling, hosted by Derek Oster, Esai Saldana, Matt Stone, and Zack Evans. 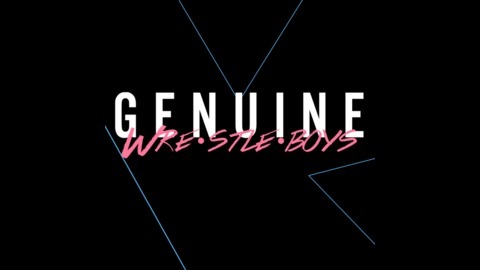 We cover the weekly goings-on in the wrestling world, which wrestleboys have the most beautiful hair (and which ones should just smooch each other already! ), Flat Earth Theory, and why we all love wrestling so dang much (all from an inclusive viewpoint meant to welcome new wrestling fans and those historically excluded by the wrestling world). We did it, y'all! We all survived the content consumption gauntlet that is WrestleMania Week and the Wrestleboys are here with fittingly their longest episode ever to recap and break it all down for you, including: WrestleMania 35, NXT TakeOver: New York, New Japan Pro Wrestling & Ring of Honor's G1 Supercard, and some of the fallout from everything on this week's Monday Night Raw, SmackDown Live, 205 Live, NXT, and NXT UK! Listen and subscribe on Apple Podcasts, Spotify, Stitcher, or wherever you get your podcasts and make sure to leave us a rating & review! Buy our merch on our What a Maneuver store! Get a FREE 30-day trial of Audible while supporting Genuine Wrestleboys! Follow Derek on Twitter: @ostercoaster! Follow Derek on Instagram: @bleuostercvlt! Follow Esai on Twitter: @duckshirt! Follow Esai on Instagram: @duckshirt! Follow Matt's wrestling drums account on Instagram: @wrestledrums! Follow Zack on Twitter: @KayfabeDad! Follow Zack on Instagram: @mychemicaldadpants! This podcast is powered by Pinecast.